First happy birthday to my wonderful husband, John, who cooks all the animal proteins in our dinners! Second, my dining experience eating Italian food on our trip home was pretty good. I brought more than half of it home. So, yay me! We are doing the actual celebrating of John’s birthday on Friday so tonight I bought a pre-cooked whole chicken. As I said, I don’t cook animal proteins. That is John’s job but, since it was his birthday and he wanted chicken, my solution was to buy one already cooked! 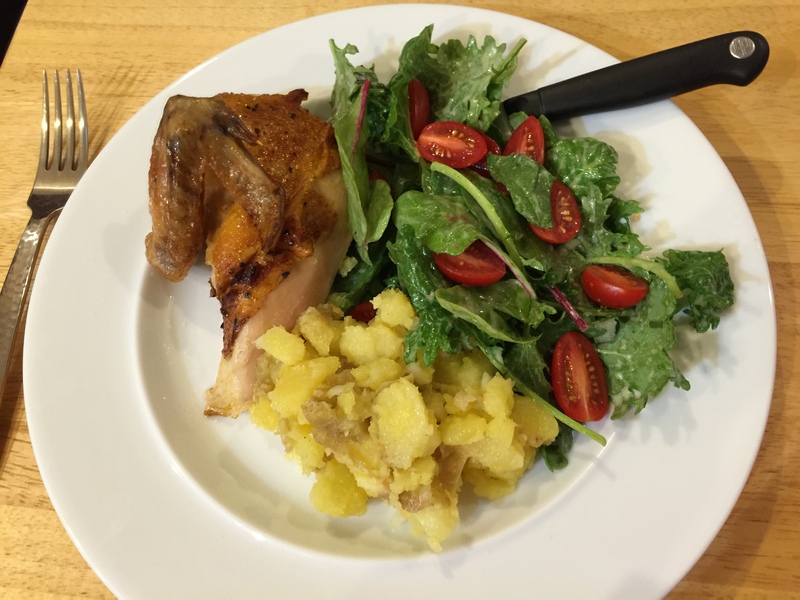 This entry was posted in Poultry, Vegetables and tagged chicken, green salad, warm potato salad. Bookmark the permalink.